Hello everyone, I’m sorry for the shameless self promo here! I have already done a VERY brief post on this, and it didn’t explain anything so I’ve decided to do this. If you’re here reading this, I can’t explain how much I appreciate it. I’m going to explain how this came about, what I sell and what I hope to sell. So, I made this about a month or so ago purely to because I really love making things. I started off with making some scrunchies in nice fabrics, and I have sold a few so far. As I am coming into my final year of school I am going to be extremely busy and I don’t realllyy have enough time for a job. Well maybe I do, but it would add more stress. So this is a great alternative. I would really recommend this actually, it’s so fun making all this stuff and it’s something I love doing! At the moment I am selling scrunchies and choker necklaces. I will be adding more things such as bracelets, and more necklaces, and maybe some more hair accessories! Thank you so much if you read this, it means a lot. If you type in to Etsy, ‘itslucysaccessories’, you will find me. 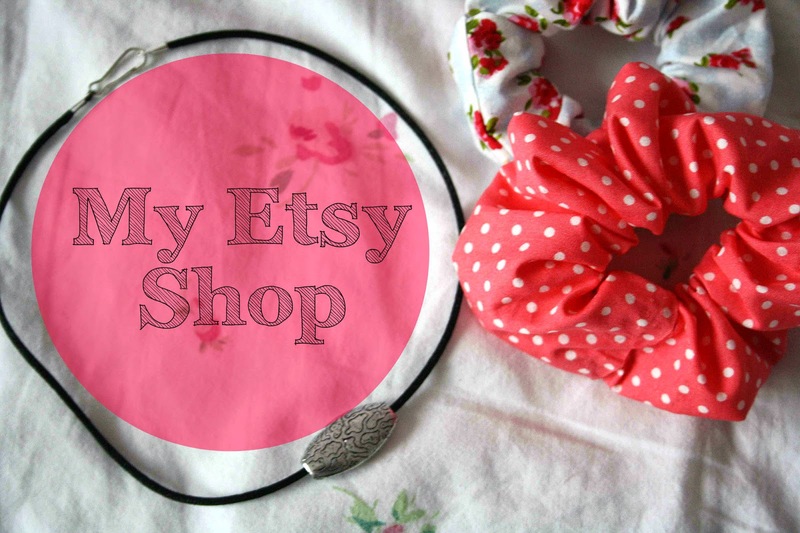 As I always ask a question at the end of my posts, I’ll ask; whats your favourite Etsy shop?